The power consumption of a building depends a great deal on indoor air conditioning. On hot sunny days power usage hikes up, so many ‘smart windows’ have been making their way to the market to help with the problem. 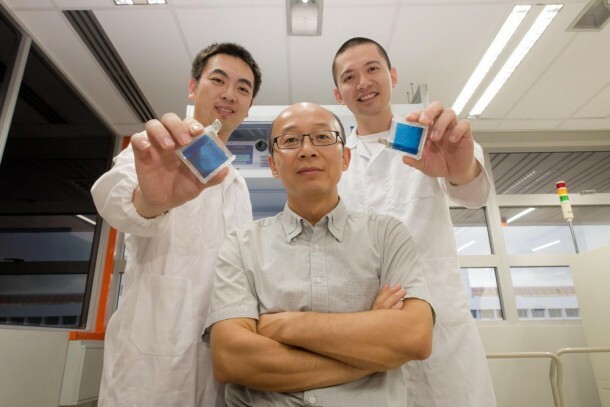 Now, experts at the Nanyang Technological College (NTU) in Singapore have actually developed a wise window that has the ability to tint itself blue, partly blocking incoming light, without the need for an outside power source. The device also functions as a small transparent battery that recharges on its own simply by interacting with the oxygen in its surroundings. Usually prototypes that have been seen rely on some sort of external power supply to function. Professor Sun Xiaowei and colleagues at NTU have developed a new kind of ‘smart window’ that is dual functioning. One, it can turn itself blue and two, it can slowly charge itself by using plain and simple oxygen. 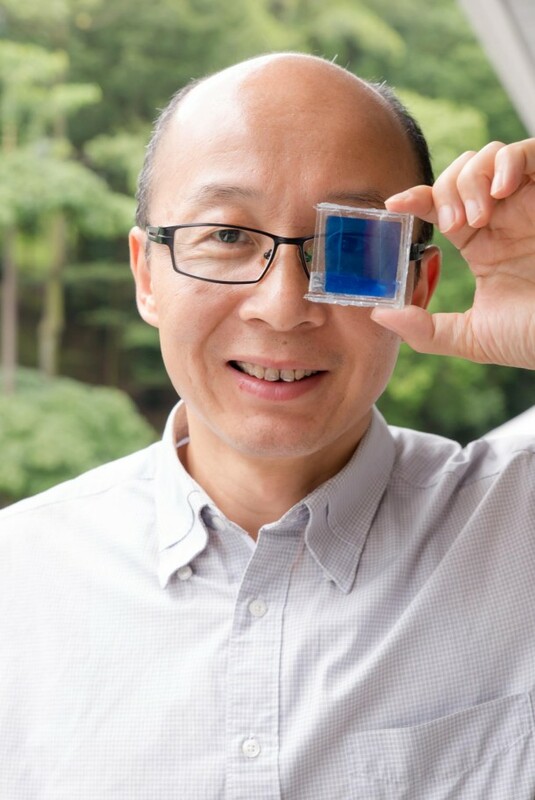 Professor Sun explains, “Our new smart electro-chromic window charges up and turns blue when there is oxygen present in the electrolyte – in other words, it breathes.” The NTU smart window contains liquid electrolyte in-between the panes glass coated with indium tin oxide (ITO), commonly for television displays. One sheet is coated with an additional layer of a pigment known as Prussian Blue and the other one is attached to a thin strip of aluminum foil. 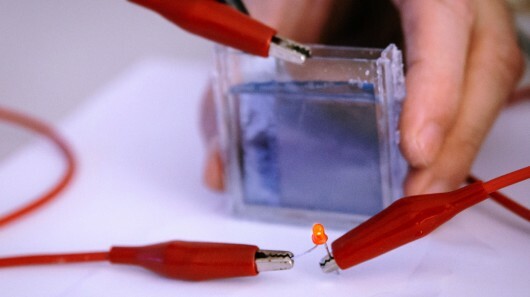 The Prussian Blue gives the glass its tint when it is fully charged. To turn off the blue tint, the electrical circuit is closed to discharge the battery, turning the blue into a colorless white. This technology aims to cut down on cooling and lighting costs in the long run. “Our technology is very attractive as a zero-sum consumption smart window. Building owners and even common households can reap energy savings right from the outset and over long term. Developers who are looking at constructing environmentally friendly green buildings will find our technology attractive for their building plans,” says Xiaowei.